Vatican statement: "The Holy Father Francis accepted the renunciation of the pastoral government of the archdiocese of Washington (U.S.), presented by the Most Important Card. Donald W. Wuerl." 🤘 Hook 'em! I'm in Austin, where Axios is bringing the Smarter Faster Revolution to the University of Texas, with a lunchtime lineup that includes American Airlines chairman and CEO Doug Parker and former NBA star Chris Bosh. RSVP here. The event includes an Instagram-friendly activation of big ideas students submitted to us. A favorite of our events team: Emily Nguyen's plan for a drive-through pasta bar, since "we all like pasta but we all hate the wait." And "profit margins are great"! 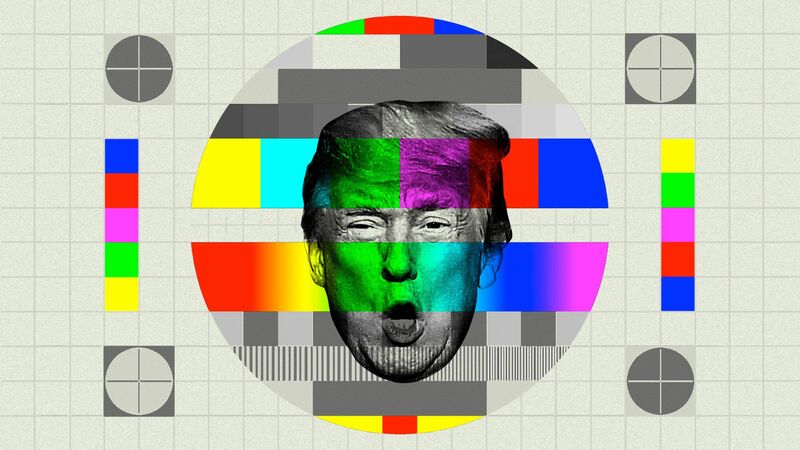 President Trump is finally fully merging his presidency with television, relishing the mounting amount of time that he's devoting to filling the airwaves — while also ravenously consuming his productions, Jonathan Swan reports. Trump holds forth for an hour or more (much of it ad-libbed) at multiple campaign rallies each week, has added pregame and postgame shows with Fox News hosts to his repertoire, is blitzing Fox News more and more, and staged a "private Oval Office press conference" for New York Magazine. In this freewheeling phase, Trump has held more press conference in the past month than in the previous year. 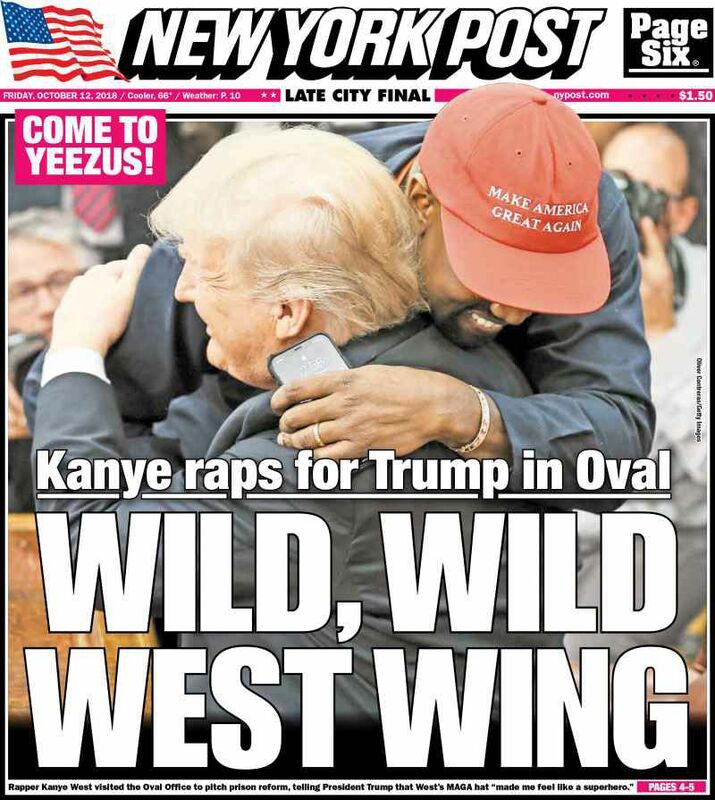 Trump's top aides see the White House the most valuable stage set in the world. Bill Shine, the former Fox News executive who this summer became deputy chief of staff for communications, wants to make better use of different elements of it — for instance, with more use of outdoor settings. This was Mexico Beach, Florida. 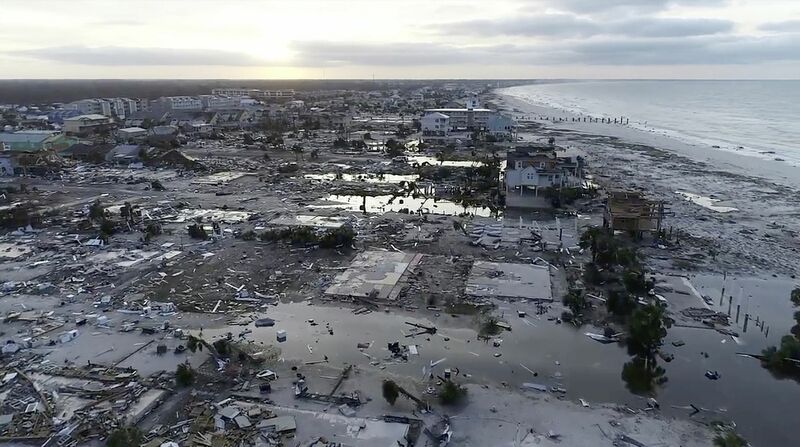 Row after row of beachfront homes were so obliterated by the Category 4 Hurricane Michael’s surging seas and howling winds that only slabs of concrete in the sand remain, AP reports. The destruction of communities dotting the white-sand beaches is being called catastrophic — and they'll need billions of dollars to rebuild. 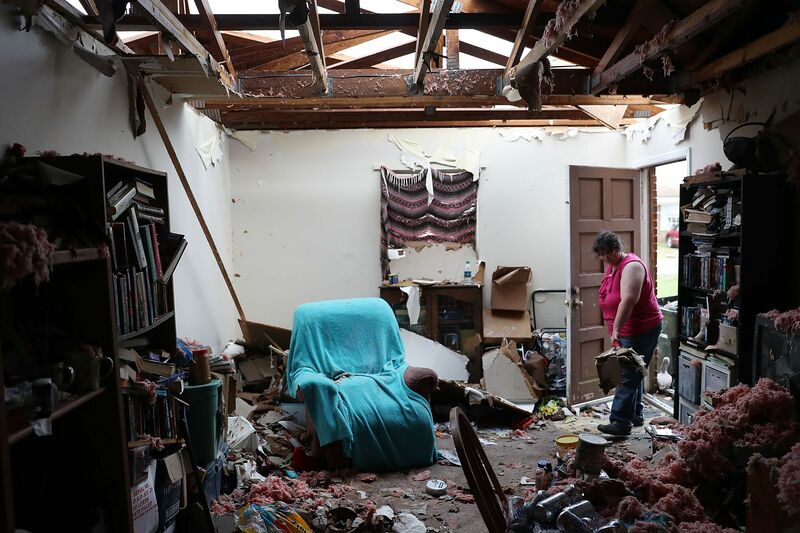 Below, Amanda Logsdon begins the process of trying to clean up her home in Panama City, Fla., after Michael blew the roof off. "The Turkish government has told U.S. officials that it has audio and video recordings that prove Washington Post columnist Jamal Khashoggi was killed inside the Saudi Consulate in Istanbul this month," the WashPost reports. 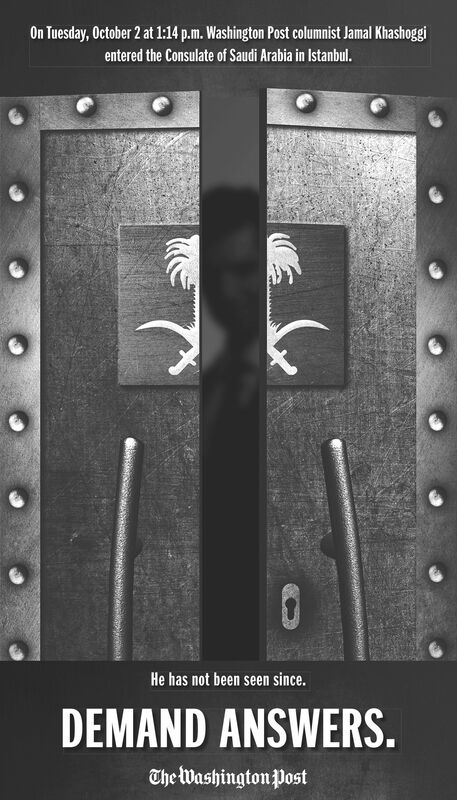 "The recordings show that a Saudi security team detained Khashoggi in the consulate after he walked in ... to obtain an official document before his upcoming wedding, then killed him and dismembered his body." A person with knowledge of the audio recording said: "You can hear his voice and the voices of men speaking Arabic ... You can hear how he was interrogated, tortured and then murdered." "A second person briefed on the recording said men could be heard beating Khashoggi." Key point: 'Turkish officials are wary of releasing the recordings, fearing they could divulge how the Turks spy on foreign entities in their country." 4. Dina Powell out of running for U.N.
Dina Powell is out of the running to replace Nikki Haley as ambassador to the UN. Powell, a Goldman Sachs partner who was a high-profile aide in the first year of President Trump's administration, told him yesterday that she was honored to be considered but wanted to withdraw from consideration, according to sources close to her. Powell, who had been the favorite for the job, told friends the time wasn't right for her family or Goldman Sachs. Powell's candidacy faced considerable internal opposition, although she was favored by Ivanka Trump and Jared Kushner, and was the first recommendation of Haley herself. A source close to Powell said she and Trump remain close. She told him she would remain a strong supporter. One name being floated for the job: Kay Bailey Hutchison, U.S. ambassador to NATO, and former U.S. senator from Texas. The White House reached out to Nancy Brinker, founder of the Susan G. Komen Foundation, to ask if she would consider the job, CNN reported. HHS Secretary Alex Azar, Transportation Department general counsel Steven Bradbury, former Attorney General Bill Barr, Deputy Secretary of State John Sullivan and retired judge Janice Rogers Brown. Most Democrats running in competitive House races are supporting or at least leaving the door open to some form of "Medicare for All," Axios' Caitlin Owens reports. Why it matters: The party is indisputably shifting leftward, and health care is a critical part of that change. Regardless of which specific policies these candidates support, it's clear that they see a greater federal role in health care as a winning campaign message. What they're saying: Some explicitly say they support "Medicare for All." Others say they support a pathway to Medicare for All, a Medicare option for all, or a Medicare buy-in. Some simply say they support a "public option." A handful of candidates have specifically said they do not support Sen. Bernie Sanders' Medicare for All bill, or any single-payer health care system. But most haven't drawn a hard line. P.S. Triage: "Republican Party leaders ... have begun to pull millions of dollars away from Republican candidates who have fallen substantially behind in once-competitive races," the N.Y. Times reports. 6. Is this economy as good as it gets? "The sell-off was broad and painful." Blame the machines! 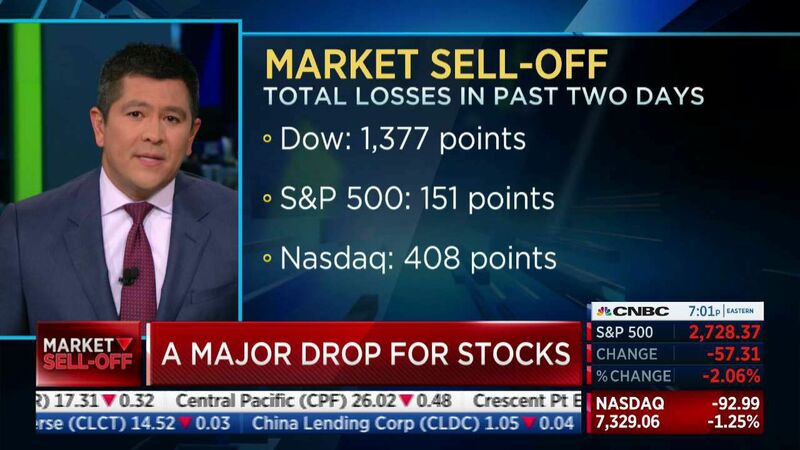 "Investors searching for perpetrators and victims in this week’s U.S. stock market selloff pointed to a familiar source: number-crunching fund managers and machines," per Reuters. 7. 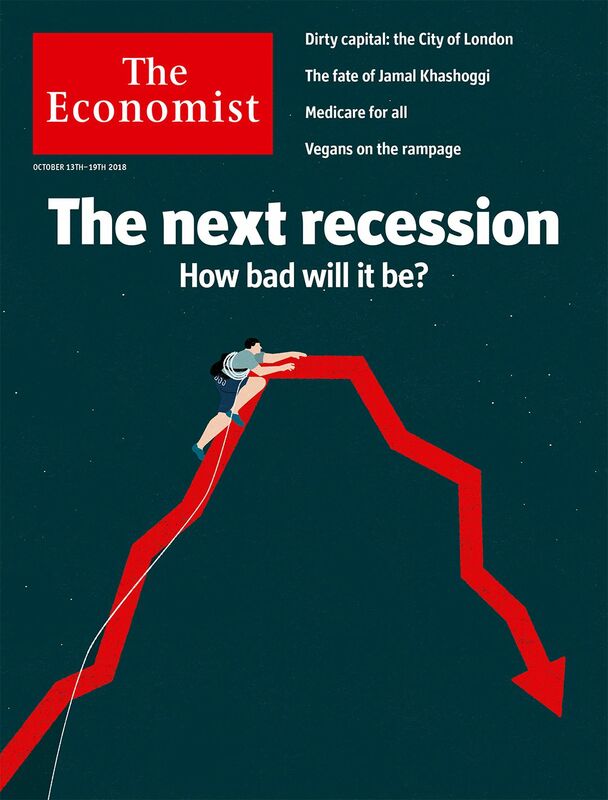 "Time could be short"
"[T]he rich world in particular is ill-prepared to deal with even a mild recession. That is partly because the policy arsenal is still depleted from fighting the last downturn. In the past half-century, the Fed has typically cut interest rates by five or so percentage points in a downturn. Today it has less than half that room before it reaches zero." "Politics is an even greater obstacle to international action. Unprecedented cross-border co-operation was needed to fend off the crisis in 2008. But the rise of populists will complicate the task of working together." "In Silicon Valley, even the shoes are now worth more than $1 billion," per The Wall Street Journal's Rob Copeland (subscription). "Trendy footwear startup Allbirds Inc. ... has sold a stake to investors at a valuation of $1.4 billion." But most hospitals won’t tell patients how much delivery and care costs until after the baby is born. Why it matters: The average sticker price for childbirth in the U.S. is $32,093. "I don't know how to say this and I don't want to get it wrong either, because everything is a minefield of bombs going off, but ... ever since I played Trump, black people love me. They love me. Everywhere I go, black people go crazy. I think it's because they're most afraid of Trump. I'm not going to paint every African-American person with the same brush, but a significant number of them are sitting there going, 'This is going to be bad for black folks.'" 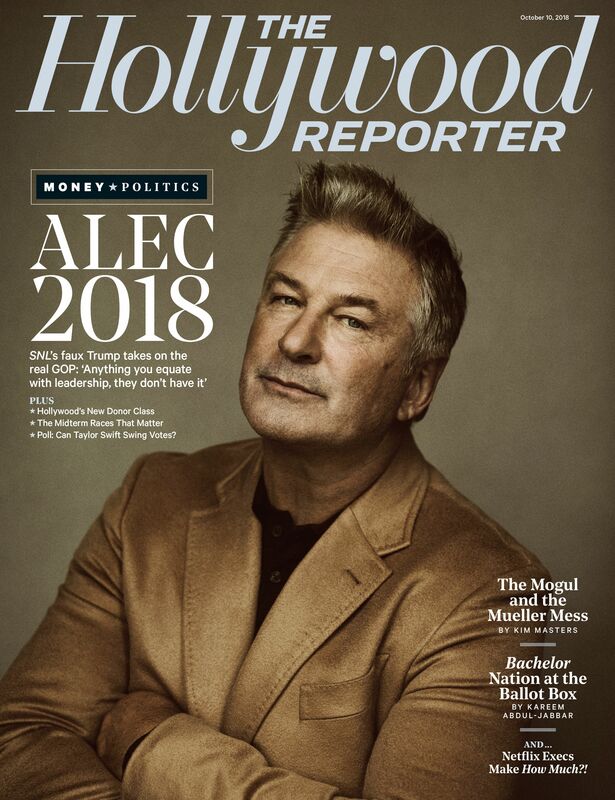 "[H]eading into the congressional midterms, he'll be backing a number of Democratic challengers, including Perry Gershon, who's running in the eastern Long Island district that covers the Hamptons, where the Baldwins keep a second home; and Liuba Grechen Shirley, who's gunning for GOP heavyweight Peter King's seat in the part of Long Island where Baldwin grew up."